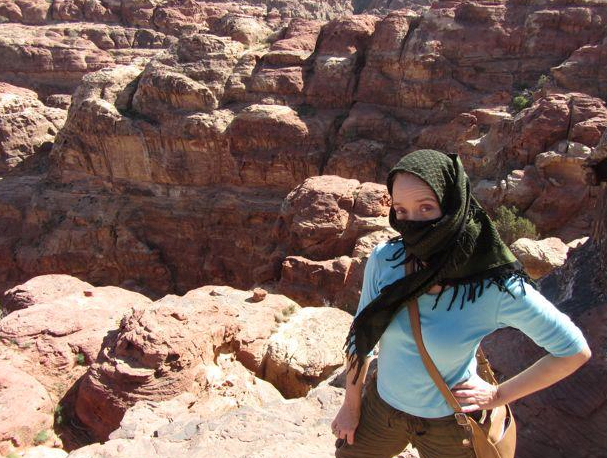 Highlight Reel: Witterstaetter of Arabia! 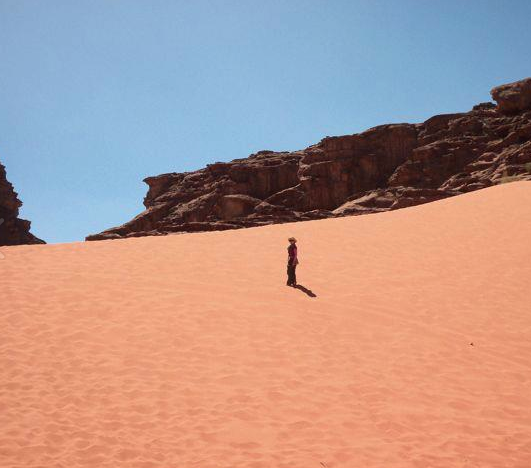 My journey to the desert began when I was eight. I can pinpoint the year, by what I was wearing: A flannel nightgown, with a pink rose motif, and lace around the collar. Probably too warm for Texas. My Aunt Margaret sent me one almost every year. I was not really aware-- like most children aren't-- that the things I was watching, the choices I was making each day, would somehow wear a groove in my path before I even reached the crossroad, an unerring wagon wheel line that would guide me thus far in my life. Little choices…. for example, my yearly goal was to check out as many books as I could from the school library, usually tackling one subject at a time, such as dinosaurs and archeology, or life in the Old West. Sometimes it would be by author-- all Dickens, all Twain, all Arthur Conan Doyle. And when that subject was exhausted move on to the next. Keeping a detailed list of each book as I went… It was a way of remembering the experience. It was not my first movie of course. That would have been "The Jungle Book." I was three. I do not remember what I was wearing, but being a tomboy, most likely it involved dirt. My recollection of that movie is of my Mother combing tangles out of my hair, while I screamed to the heavens, and then ending up miraculously in the balcony of the old Saenger Theatre in Texarkana, and laughing at and loving a character named Baloo. Later, the love affair continued, after school-- more afternoons than not--with me catching the "Afternoon Movie"--Tarzan, Vincent Price, Godzilla… a new cast of characters paraded by me every day. When I was a little older, and my bedtime a bit later, I'd still have to sneak out of bed to watch the Midnight Movie, keeping the volume really, really low, so as not to wake my parents (I figured my brothers could handle it). My Dad was a postman with an early call, and he'd often get up at 4 a.m. to find me fast asleep on the sofa, wake me up and send me to bed. 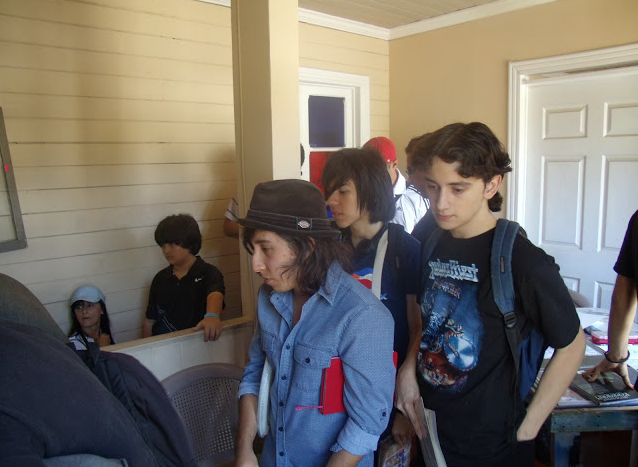 I remember the drowsy zombie walk to my bed even now. But he never told me not to do it. It was during this time that I discovered the musicals, the westerns, the epics: "Gone with the Wind," "The Good, The Bad and The Ugly," "Singing in the Rain," "Pride of the Yankees," "Philadelphia Story," "It's a Wonderful Life," "Harvey," "An American in Paris," "Guys and Dolls," "Jason and the Argonauts"…and of course, "Lawrence of Arabia." The story structures, the cinematography, music as a character...it all was so interesting to me--it stirred my imagination. Still does. From those moments on, I would always gravitate to art , creativity-- classic illustrators, classic movies, reading… to the point that when it came time to pick my career, it was as if there really was no choice at all. 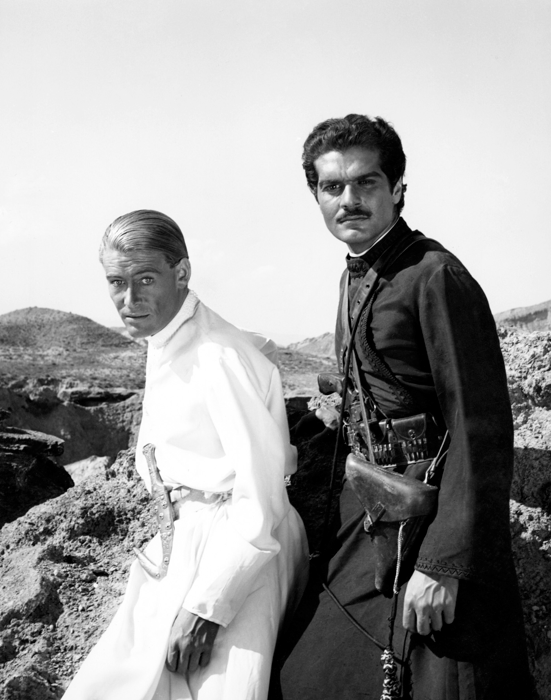 Years later, when I was an editor at Marvel, and that wonderful, truly epic, David Lean movie was being remastered, and screening at the Ziegfeld in New York where I live, I had the opportunity to meet Omar Sharif, the interview set up by a mutual friend. I wasn't sure what to expect, but he turned out to be one of the most charming people. I can pinpoint it again by what I was wearing, a sensible blue blazer and white skirt. My hair still growing out from that awful mullet I had in the 80's. I was so young... When you are in your early 20's you think you are old and wise, when in reality you know nothing at all. Mr. Sharif treated me as an equal, but thinking on it now, I wonder if I looked like a little girl playing "dress up." O'Toole and Sharif pick up on my color theme. Interviewing Omar was not an unusual thing. I'd interviewed many celebrities at that point with my journalistic background, and have worked with many more since. 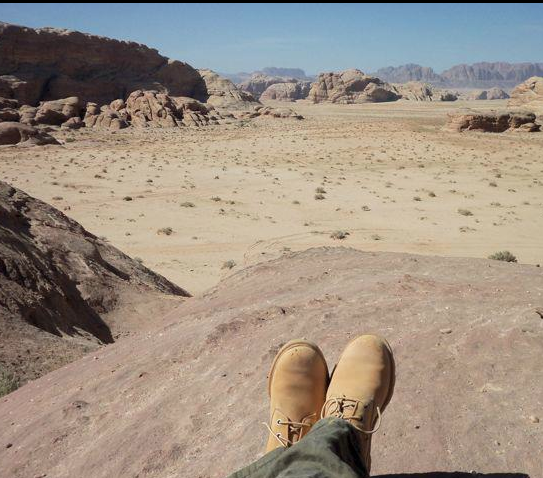 But somehow, if you'd asked me then if I'd ever go to the desert-- go to Wadi Rum--where the actual movie had been filmed-- of course this was long before I traveled to places like Hong Kong for film production myself-- I would have said, "Wow, that never even crossed my mind. It's so far. " And in fact, in 1989, it seemed much further away than it does now. So fast forward to 2013. An invitation came. One that had me contemplating getting on a plane to go the Middle East-- one of the relatively peaceful parts-- for an appearance. I looked on the map, checked the web for flights, and I noticed that many flights stopped over in Jordan. The land of the desert. The actual filming location of Lawrence. "If I have a layover of a few hours, why not make it a week!" My friends and family, I must say, were a little less than thrilled at my plans. 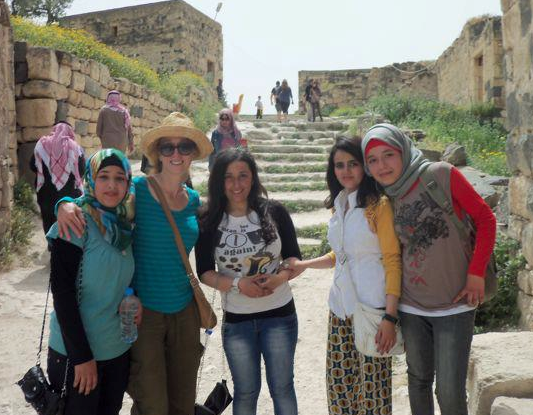 One did exacting research on women traveling alone in Jordon, and what to do and what not to do. He informed me not to show any arms or cleavage or leg. I listened. Kept the notes. I went anyway. 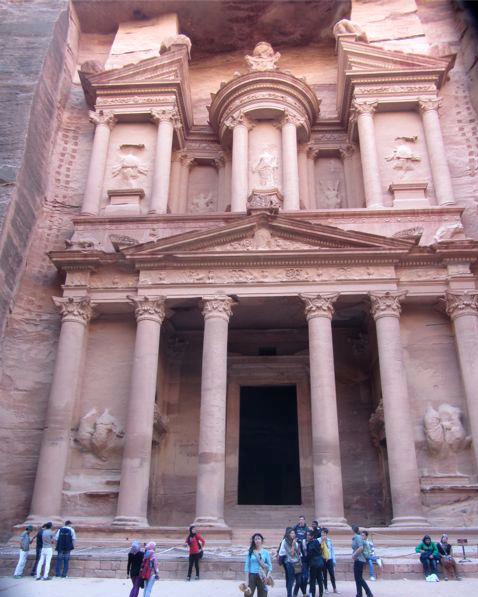 Instead of arranging an organized tour, I booked a car service to pick me up at the airport and drive through the dark night, the three hours to Petra-- yup that Petra, famed filming location for "Indiana Jones and the Last Crusade." That facade is no set. It does really exist, carved into the beautiful rose colored limestone. I was determined to see it. He, the driver (sadly I don't remember his name), at first seemed suspicious of me, a woman, traveling alone, but two hours in, when it become obvious that I really was here to see the historical sites, he offered me a bit of advice. "You seem like a nice lady, so I'm going to warn you...If anyone offers to cook you a barbecue in a cave, don't do it," he said earnestly. "Well, I certainly won't," I replied, thinking it a joke. He then explained that some women traveling alone here are thought of as possibly "looking for something other than seeing the history," and that the cave scenario was really a code word for something else. "Got it," I said. Thinking "This will never happen to me." 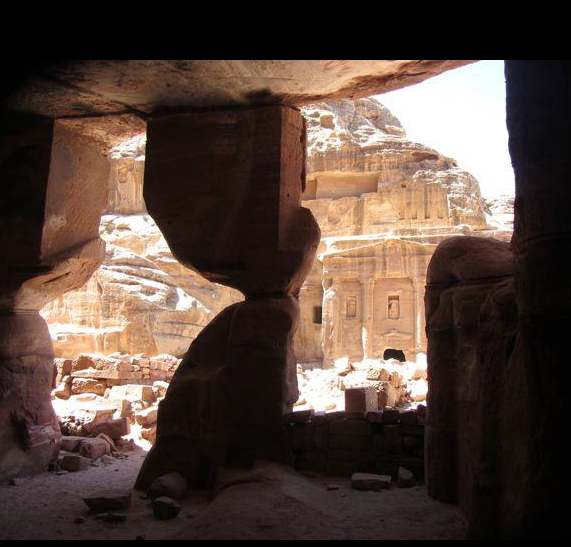 Arriving in Petra, and checking into my mid-budget hotel, however, the cave wasn't what I had to worry about! "That sounds great," I said and went to my room. He called 10 minutes later and informed me that the Spa was closed after all, "Would I like the masseuse to come to my room?" Sure, why not. They do that in the states all the time. Then, 20 minutes later, the night clerk is at my door with a jar of Nivea Body Cream. "Huh, is she, the masseuse, going to use that," I asked. "Where is she?" "Oh, I thought I'd do your massage for you, he related." Of course the answer was "NO thanks" and I bolted the door. Ten more minutes later, another knock. This time it was the bell man who brought my luggage to the room an hour before. Inquiring with much concern if I'd had my massage, and if not, he'd be happy to do it for me. "No thanks," AGAIN. And this time when I locked the door, I also put a chair underneath, AND checked the windows. Well, that was the annoying part of the trip--almost as annoying as the fact that the Tabasco at breakfast was brown and caky and looked 20 years old-- but I put it all out of my mind, as I headed off to Petra early in the morning for a horseback ride through what was once one of the major stops on the Silk Road. In search of the Treasury. Below, the path to get there, and the place in al it's glory. I viewed the Treasury, ala Indy, first from a mountain top, my heart pounding, as on hands and knees I inched to the canyon edge until it came into view... Your eyes adjust and then, like magic, it reveals itself from the stone. An illusion come to life. But I saved standing in front of it for last! And yes, strains from the movie--so much a character in that film-- were echoing in my head, as I rounded the corner through a steep passage and the facade came into view. 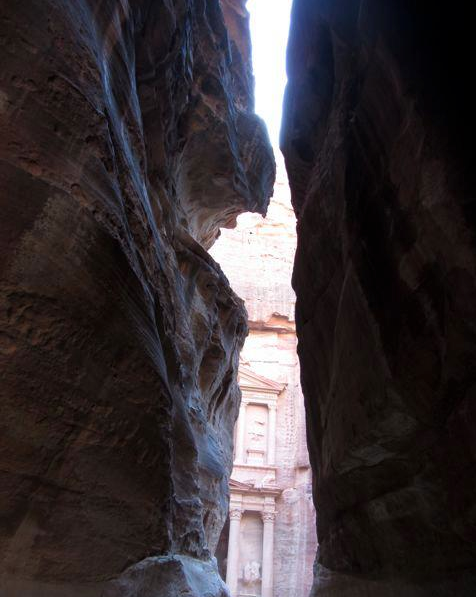 I found myself gazing upon statues that once hovered over a bustling square, full of color and merchants and camels, maybe even elephants, silks, spices and smells wafting up to the world outside the canyon walls. It's all imprinted there still. Leaving Petra behind, my driver-- nice young student named Assem-- transported me to Wadi Rum, the desert of Lawrence. 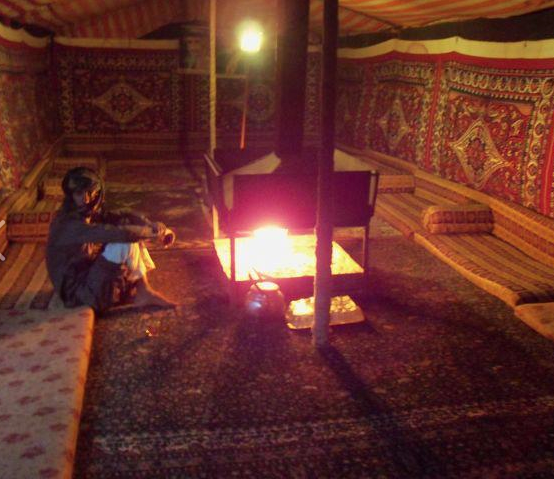 I had booked a tent at a Bedouin camp. 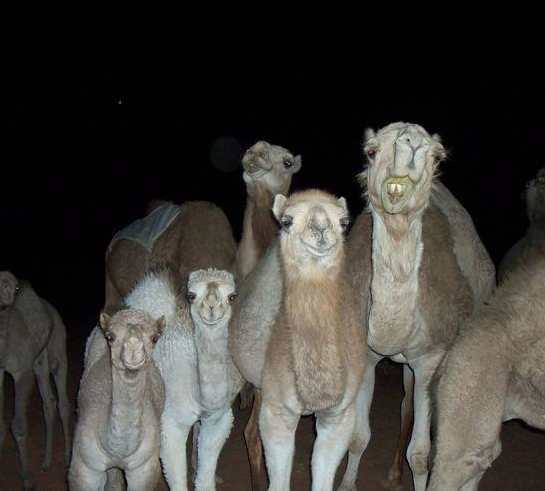 My camp hosts arrived, like a mirage on the desert, one second absent, the next minute materialized, wearing long flowing Dishdasha, and leading two camels on a rope. The steeds ruminated, eying me to see what was what. Assem said goodbye, he too voicing concern that I was a woman traveling alone, giving me a few words of advice. 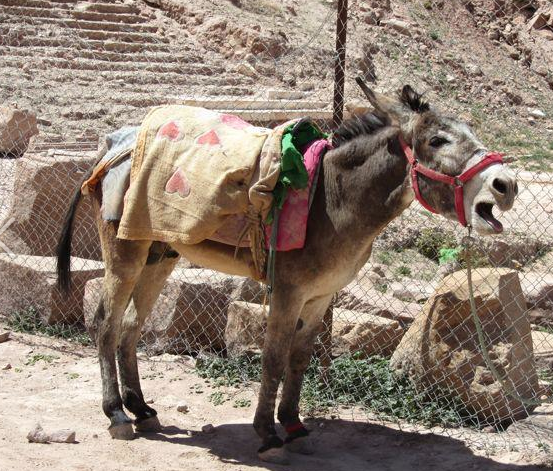 The camel kneeled down, I hoped on, and I did my best Omar Sharif impersonation, looping my legs around the horn as he did in the movie (Royal Jordanian was actually showing it on the way to Jordan on the plane, so I watched again, just to bone up!). Many tourists sit with their legs dangling to the side. Uncomfortable. No Control. 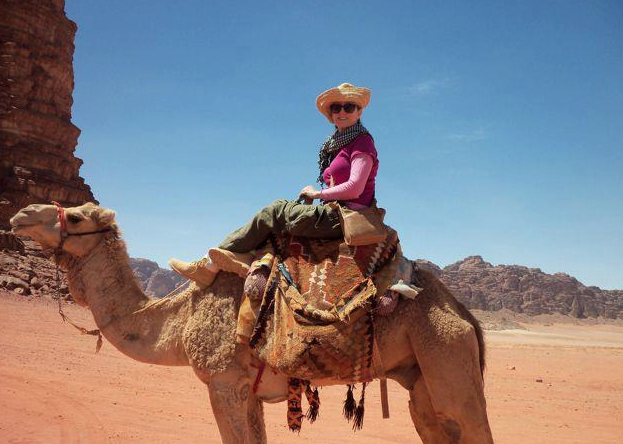 They look terrified-- both the tourist and the camel. For me, I found the camel to be an extraordinary animal and when you get into the stride, the loping gate is relaxing. It's a piece of cake. When my guide saw my technique, he smiled and said "You ride like a Bedouin." I smiled too. And he treated me with nothing but respect for the rest of the trip. Who says you can't learn something from a movie! And then the desert spread out before me. I remember what I was wearing, my trusty traveling green linen cargo pants, long sleeve multi-pink shirt, my green and white checkered scarf, and a straw hat ala Huck Finn. And sunscreen. 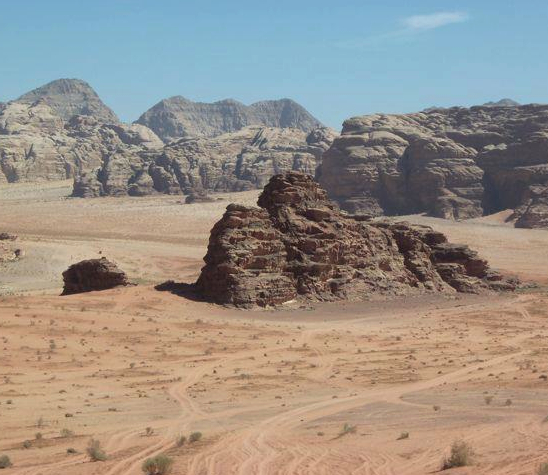 But how do I describe the adornment of Wadi Rum? A dry heat during the day, with sand, sometimes gently, sometimes, with passion, carving out castles in the mountains of rock--some so tall they punch a hole in the sky--and making temporary islands with the dunes, flowing as if they are a reddish brown body of water. "The desert is an ocean into which an oar has never been dipped..."
You think perhaps the desert is devoid of life, but not true. The more you look, the more you see. Flowers growing from stone. Crevices hiding reservoirs. 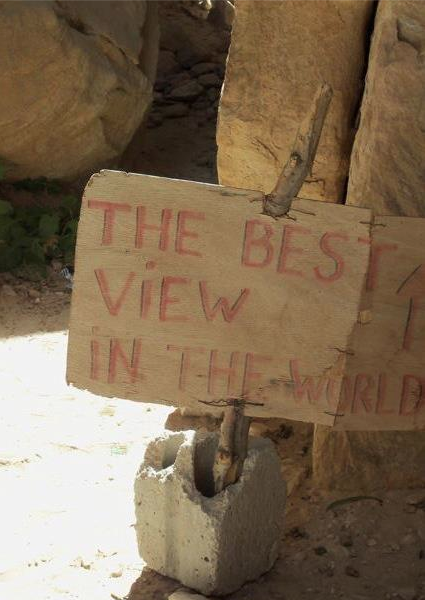 And in fact, one of the first things a Bedouin will show you, if they trust you, is where they have their water source. It's more valuable than gold. My Timberland boots were amazing! (If only I'd remembered that for the Inca Trail. Sigh) Mountains that at the bottom looked impossible, gave way, inch by inch, when I climbed them, seemingly teleporting me to the top in no time at all. ...the vastness of the desert. 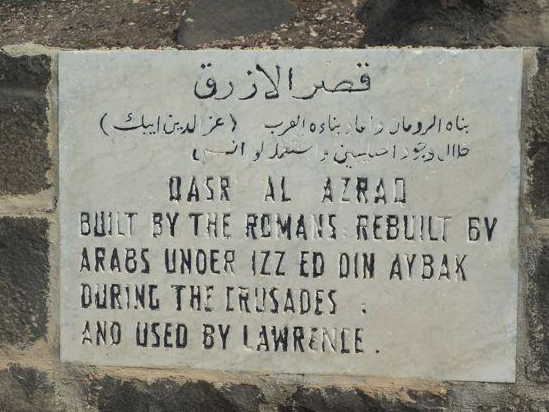 Within my short time in Wadi Rum, I rode through blood drenched battlefields of the Arab uprising, saw the remains of Lawrence's house, and Lawrence Spring (his name is on many things here.) I climbed the highest peak in Jordan from which I could gaze upon Egypt and the Red Sea, and made a pot of tea on a campfire at the top, meeting several hikers from England and chatting over a spot and a biscuit. We shared what we had. 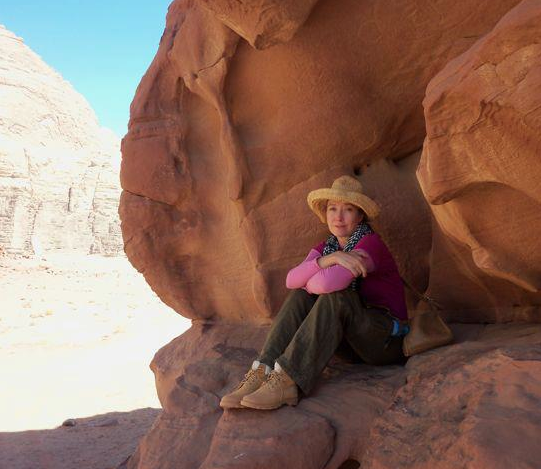 ; I walked across rock bridges , and explored mysterious caves on my own..My trusty guide by the camels, as I went off like a mountain goat; We stopped at shaded outcroppings each day, making a fire and cooking lunch from scratch. Careful to take with us all that we brought. At night… the stars and moon are the biggest and brightest you'll ever see. And the desert becomes very cold. You seek out a fire and Turkish tea. As your eyes adjust, you see the outlines of hills, and silhouetted herds of camel, babies and all, wondering by almost silently, trustingly, punctuated by the plaintive cry of one as he looks for his brethren, somewhere outside your encampment of tents woven from goat hair-- both black and white. Another item of great value. 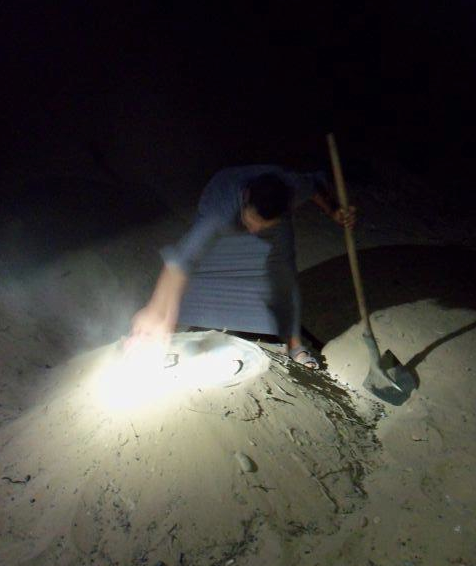 Each night our guides cooked a full meal with hot coals buried under the ground, chicken and vegetables laid on metal racks, pulled from the earth fully cooked. And then they'd play traditional music and danced until lights out. Genuine joy. Interested to show you something of their life.. in a place that was…and is... much unchanged. Top: Cooks uncover dinner, simmering beneath the sand. Bottom: From the plateau. People will tell you about the beauty of the desert, but you won't understand. I didn't until I was there. And then it touches your soul. 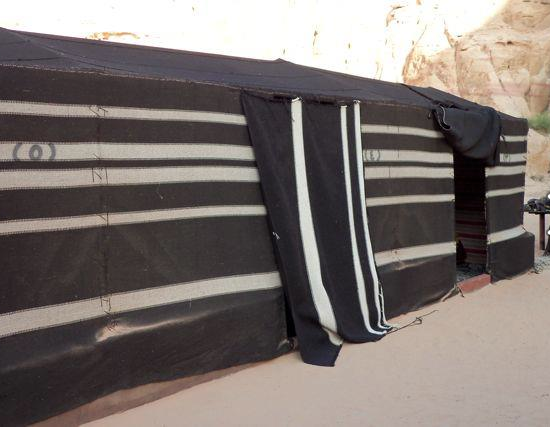 It's like the colors of the Bedouin tent, the black and the white, clearly defined. The dark and the light. The yin and the yang. I could only imagine the trials of a film crew working here. The feelings of both love and hate. The hardship of keeping the cameras sand free, staging battle scenes in unbearable heat, creating something of such beauty out of the worst possible conditions. That duality. The dark and the light. I found a hidden reservoir when exploring a mountain floating in the sea of sand, covered with wind carved houses that were surely the inspiration for the desert houses in "Star Wars." Windows and doors perfectly, organically, formed as if a divine, patient, hand had reached down and sculpted them with absolute forethought, one grain of sand at a time. 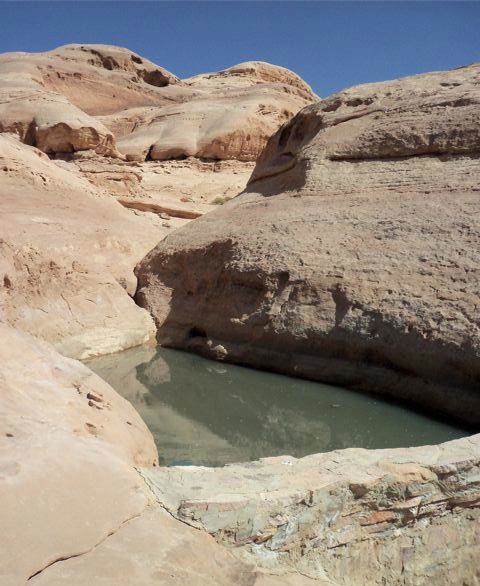 The cistern was a deep perfectly hidden body of water, unseen from the desert floor, and only revealed by climbing a long way up, and knowing the way to go. I didn't know, but I was led there anyway. A little postage stamp of a rounded, wind sculpted house was empty near it, with remnants of occupation-- a blanket, some tools, a bowl-- showing that someone had been here, but when? Last year? Ten years ago? Twenty? I wondered who had dammed the wall? 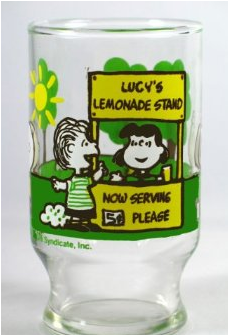 Who had used it last? Where were they now? It's impossible to judge the weathering of time in a place that is timeless. Life giving water, that with a fickle whim, also takes it away. The dark and the light. My desert home. The desert changed me in some way. That I'm not even now sure I really know. 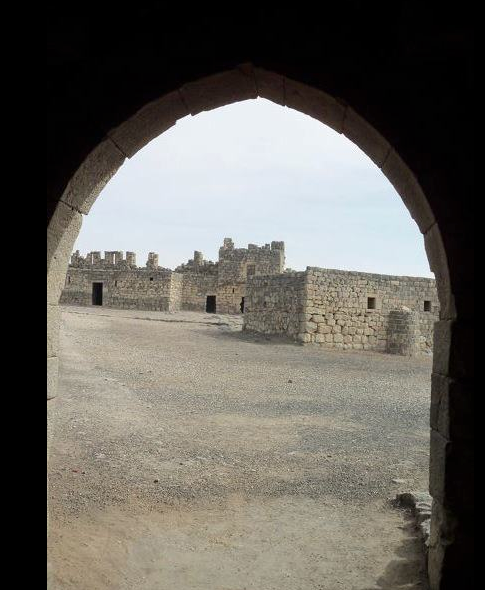 Eventually I I boarded a plane out of Jordan and ended up at my destination for my appearance. 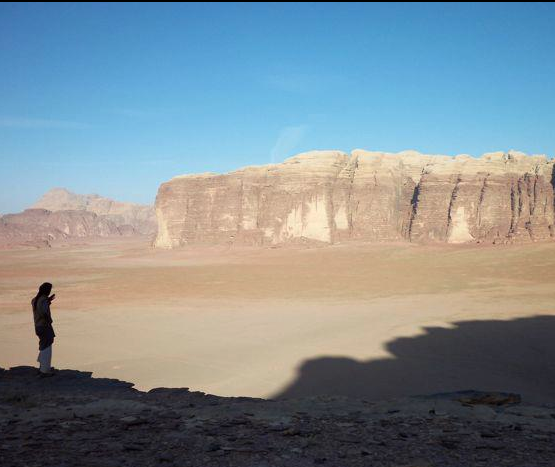 But I still think of Wadi Rum. When they say "once in a lifetime" this is the kind of place they are referring to. Would I go back?…Isn it the best thing to keep the ideal of what was a perfect gem, in your mind, without revisiting and suddenly realizing the flaws in the cut the second time around? I don't know…I think perhaps that would be… limiting. Instead, go with the knowledge that of course it will be different… it might even be... better. While in Petra, my horse guide for one of those days, told me about another archaeological site, extolling it's loveliness, the majestic nature of the place, ending by saying , "You know, if you want to go there, I can take you tonight and…hey, I can make you a barbecue in a cave." I almost laughed-- I think I did blow water out my nose (since I was chugging some at the time). So this really does happen! Wow! And what percentages of women say "Why yes. A barbecue in a cave would be simply lovely, my dear man." Sigh. My answer: "No thanks. I'm fine." He doesn't define Jordan for me, though. This is a moment I will throw away. What defines the trip for me are the other people occupying this current layer of this ancient, layered, land. I think, with thanks, to all those I met who took an interest in my well-being-- my first driver from the airport; The folks at Bedouin Directions (look for them on booking.com, not kidding--wonderful); Assem who drove me several days and refused to leave me anywhere until he knew someone was there for me, who found food for me when I was hungry, who still is my friend-- a fine young man; The shy Bedouin, who had me for better or worse, as his charge for 4 days and never complained about my constant desire to climb the next mountain or see the next sunset; My guide and driver, the wonderful Muslim fellow who protected me for 3 days tooling around ancient Roman ruins, and reminding me each day, twice a day, when he needed to stop, turn to Mecca and pray--A peaceful, honest, man; The jolly and gregarious merchant who melted when he realized my guide was an old friend he hadn't seen in 20 years. At one time they'd both worked at the airport. He invited us in for tea, and told delightful stories, as I was surrounded by stunning Roman art recreations, in his mosaic shop; The schoolchildren at Um Quais, who were thrilled to see me, and who all wanted their picture taken with the person from another land...I was exotic to them. One photo of many with the school children of Jordan. The lovely thing about the desert is the silence: You can hear yourself. Yes, my journey to the desert started when I was eight, and a groove in the road led me here for some reason. But, If so, it was written by me. 1.) Arrange all your transfers in advance, through a reputable company. I did this for three transfers, and each person was great, was where they needed to be, and got me there on time. 2.) Dress modesty. Even if you think you are dressed modestly, look again. Cover your chest, arms and legs when in public, as a sign of respect. 3.) It's not necessary to cover your head in Jordan. But of course the Islamic women that live there do. 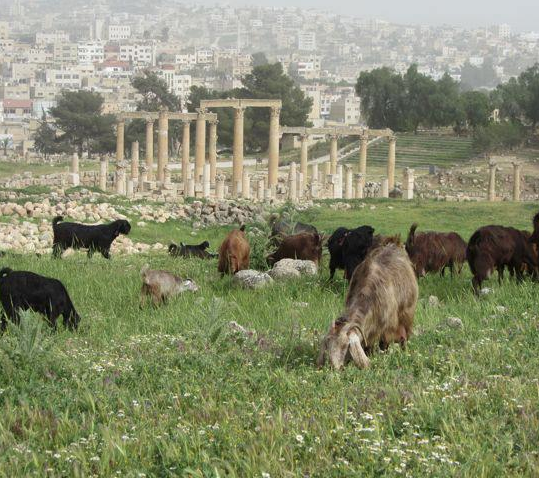 Sometimes you may want to, just because of the sun, or because you'll fit in a bit more on a crowded street in Amman. 4.) Like in any country, insist on a room with a safe. I learned this the hard way in Mexico last year. If there isn't a safe in your room, ask for a different room. (More on this in a different post). Note: This may not be possible in a tent. 5.) If someone asks if you are married, consider saying "Yes". Even if it may not be true. This will save you some hassle. You might even consider wearing a wedding ring, since it's unfathomable to them that someone over 30 would not be married, and therefore must be looking for a husband. Boyfriends don't count. But, it doesn't always work…one Egyptian fella asked if I was married. I lied and said I was. He looked very sad, and still asked, "But do you love him?" 7.) You can buy a camel. They only cost about 3K for a baby. Customs however, might be a pain. 8.) Barter, barter, barter. Nothing is the price that they say. If the "final" price doesn't suit your liking, walk away. Either the price will miraculously come down, or you'll find something else. 9.) Apparently asking for a massage conjures up all kinds of enthusiasm. Maybe it means something else? I'd suggest just having sore muscles for a few days. 10.) If you later end up going to a Turkish spa, ask for a female attendant up front as I did, unless you are not a shy person. They don't ask, they just take the towel. It may not even be your birthday, but suddenly you are dressed for it. 11.) Although you don't have to, get one of those head wrap things. A keffiyeh. They are light and made of cotton, and serve a wonderful dual purpose. They can keep the sun off your head when wrapped as a turban, they can keep you warm when the desert cools off at night, and most importantly, during a dust storm wrap it around your neck, and pull it over your mouth. Later they make nice table clothes. NOTE: Get one made in Jordan. Read the labels. There are many inferior imports here, just like in the rest of the world. And the merchants will swear, especially around Petra, that it was woven by their mother. Read the labels. 12.) There is no alcohol served in most places, wine or beer drinkers, so get use to it. Not going to happen. There also appears to be no such thing as a new bottle of Tabasco sauce. 13.) Coffee drinkers, you however, are in luck! About every 3 miles on the highway, there is a Turkish coffee stand. Look for the large neon coffee pot attached to every hut. It's made with cardamon, thick as oil sludge, and tastes wonderful! 14.) Wear Sunscreen. I repeat: WEAR SUNSCREEN. 15.) Get yourself a proper hat with a wide brim. No need to advertise your favorite baseball team, get a Tom Sawyer job like I did. You'll be glad. And nobody will ask you to paint a fence. Most likely. 17.) Whatever you do, whatever you do, do NOT accept an offer to have a barbecue in a cave. 18.) And, if Omar Sharif ever invites you to tea, well then, you should most certainly go. Highlight Reel : A Night in the Museum with Golden and Poe! When Edgar Allan Poe knocks, you answer! Raven or no! And we did just that a year ago in March! 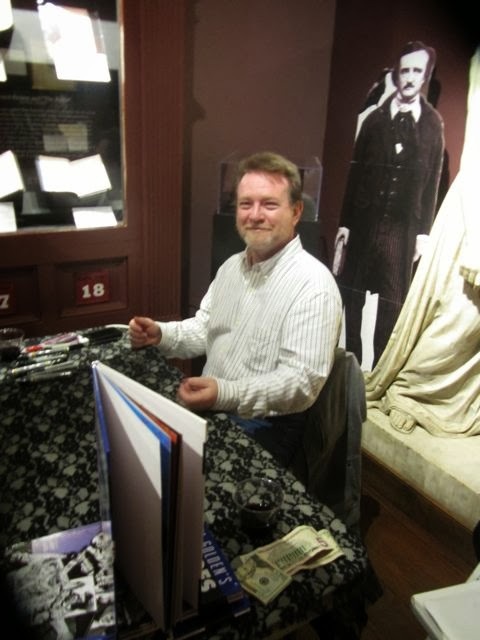 Looking back on 2013, one of the highlights for me was a visit to the Edgar Allan Poe Museum, with a focus on artist/writer Michael Golden, as he gave a lecture and Q and A about his career, sketched and signed for fans in the Richmond area, and discussed his own illustrated Poe story, "The Mask of Amontillado." It was a great turn out for the museum and a beautiful atmosphere for the event, held in a area that has a bit of Poe history itself. 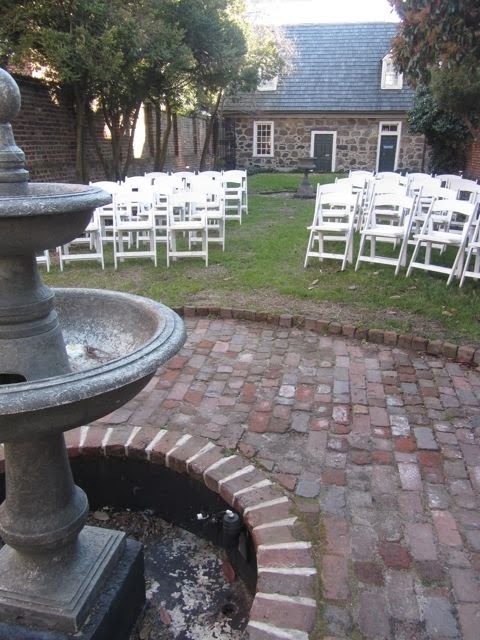 The museum opened in 1922, in The Old Stone House, and is only blocks away from Poe's first Richmond home and his first place of employment, the Southern Literary Messenger. Of course we know Poe went on to be called "America's Shakespeare," as he created or mastered the short story, detective fiction, science fiction, lyric poetry and the horror story. His dark genius has invited children and adults to read and love literature for over 150 years. 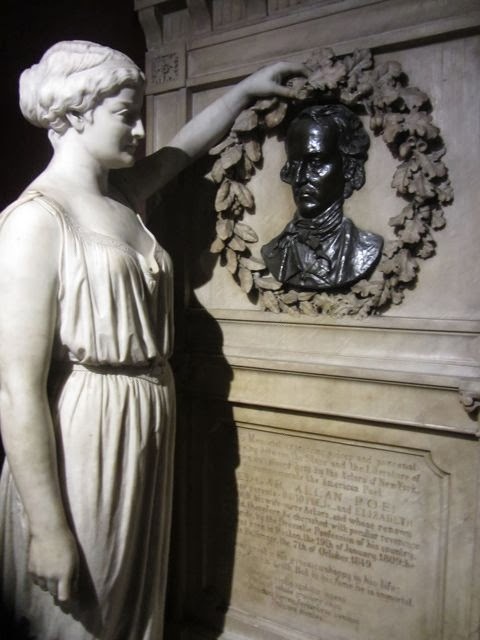 The museum also boasts the world's finest collection of Edgar Allan Poe's manuscripts, letters, first editions, memorabilia and personal belongings. 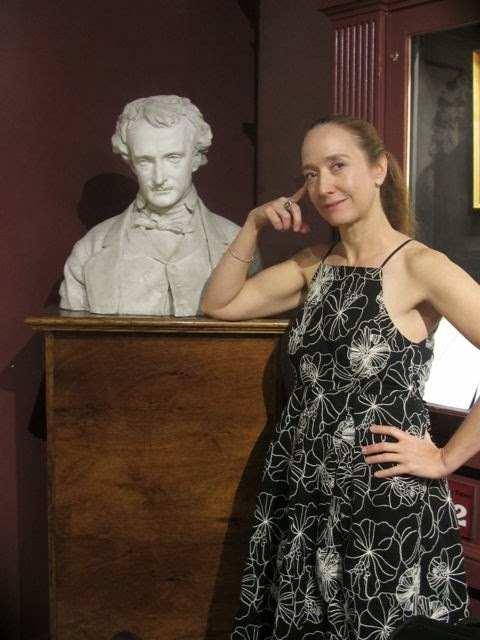 In fact, I for one almost felt Poe's presence, surrounded by many artifacts that actually belonged to the author--including a bed, sofa, and a historic bust of Poe himself…. it loomed large behind us during the signing, reminding us of exactly where we were! 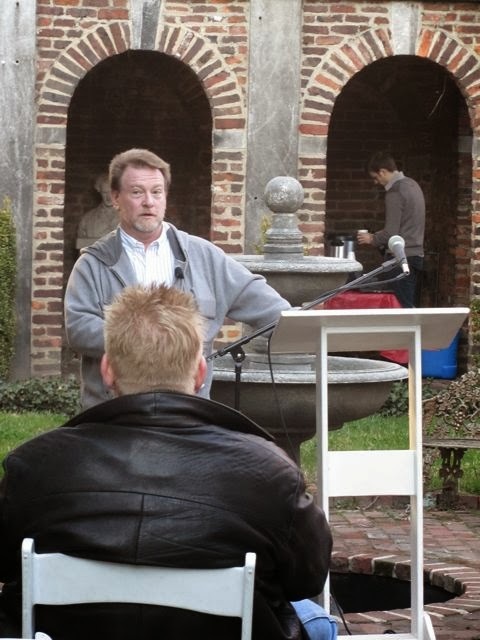 Golden was a natural for this special event: A renowned storyteller and writer, his name will always be linked with Poe's and one of the few, and one of the best, illustrators to have brought Poe's visions to life in sequential art. 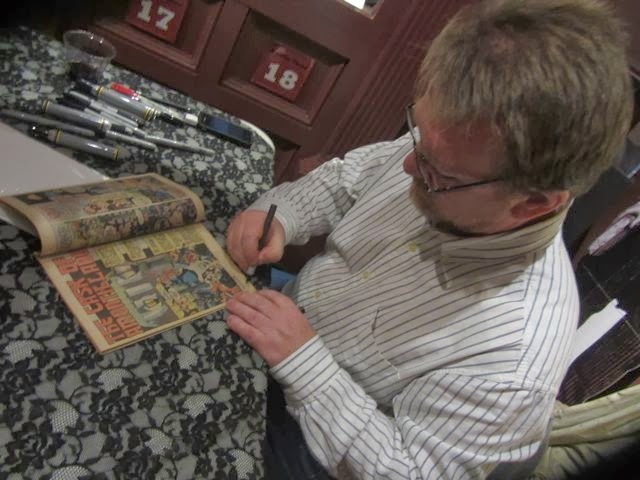 Here on this page are a few photos of this distinct honor, and Michael Golden's night at the museum! But first, some back story: Whenever I'm going to a convention or a book store signing, sometimes all the elements-- the "what ifs" that could go wrong and don't, or DO and you fix them, all the choreography that falls into place-- it comes together, and you feel like you are in a zone where the moment has stopped, and you are fully there for whatever period of time it lasts. I think it's rather a zen feeling, where the phones are off, the TV's are off, and people are communicating in real time...windows open... a breeze coming in...perhaps the faint sound of a parrot in the background. The focus is pin point and full of positive energy. "Wherever I go, there I am." Yup...technology to me is a blessing and a curse. The curse part: The need of many to constantly check a text or email to see where they are going to be 10 minutes from now, instead of looking at where they are now… a plague of our modern society. 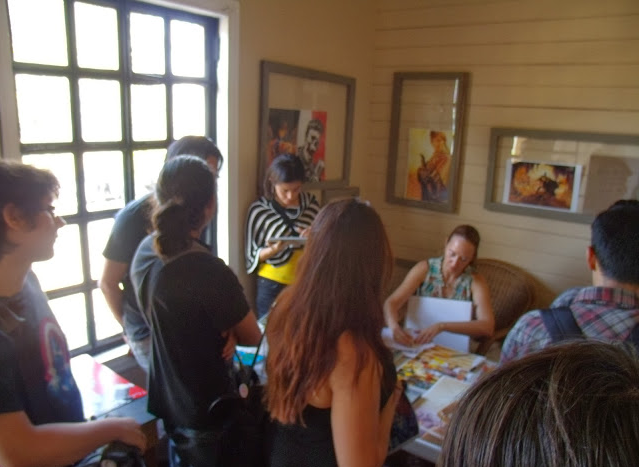 The blessing part: I would have never learned of the BOOM shop in Costa Rica or set up a signing with them, if not for technology and instant communication. So in that way, it opens up our world, broadens our experiences. The event was warm and welcoming, the fans lovely and enthusiastic, the hosts--Troy and Gio gracious, and the type of folks you feel like you've known forever the moment you meet them. And Roy who works there, and was just amazing helping us out. 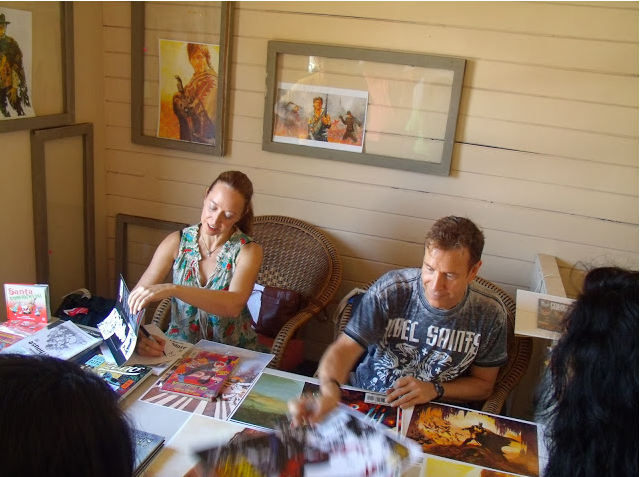 Also coming over from the states for the weekend, was artist/writer Arthur Suydam-- so popular here for his "Marvel Zombies," his new book with George Romero, and "Army of Darkness" work, etc. etc.-- and we both sat there from Noon to almost 9 PM, with a constant line of folks coming up the wooden stairs of the 100+ year old-- no doubt storied-- structure that houses the store, with stacks of books and prints to sign. I know that I saw comics from the beginning of my career that I almost never get at signings in the US, AND in perfect condition. (Most have aged better than I, I daresay! 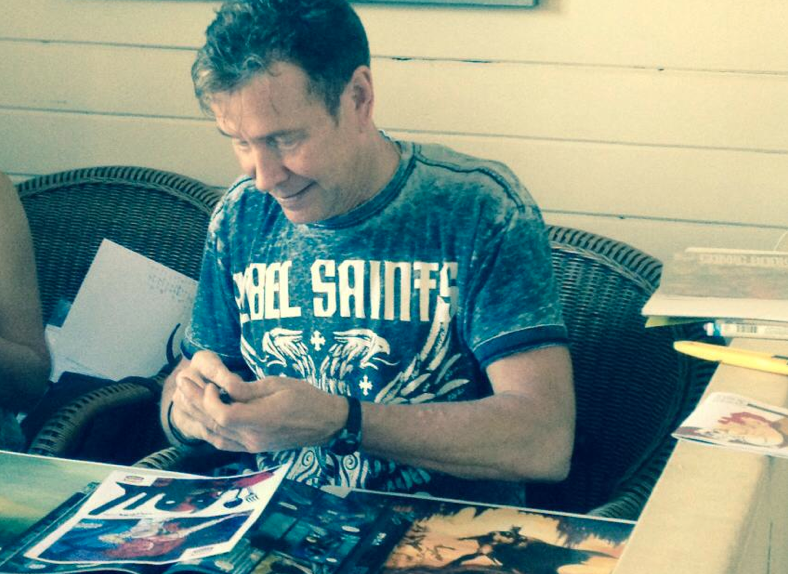 ), and it was gratifying to have folks ask questions, and be sincerely interested in comics, editing, storytelling and art, AND for my part, to be able to talk to them in such a casual and comfortable atmosphere. 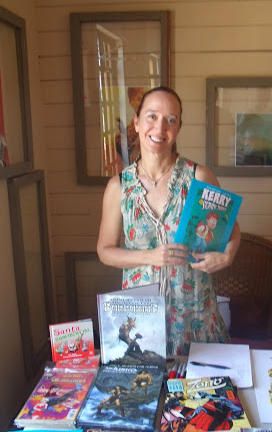 Speaking of art, I looked at a few portfolios of local folks at the store, and there is some great talent in Costa Rica--Carlos Salazar, Fran Delgado, Douglas Campos Ocampo, John Timms! You'll hear more from these folks, I know! As mentioned, soon BOOM in Costa Rica at least, will be no more. There are several reasons--and the move was already in the works-- but the exclamation point was the real kicker: A few days before our signing, the store was robbed, and Troy and Gio almost had to cancel the event. After talking about it, we/they decided to forge ahead and create something positive from a negative. Much to their credit! 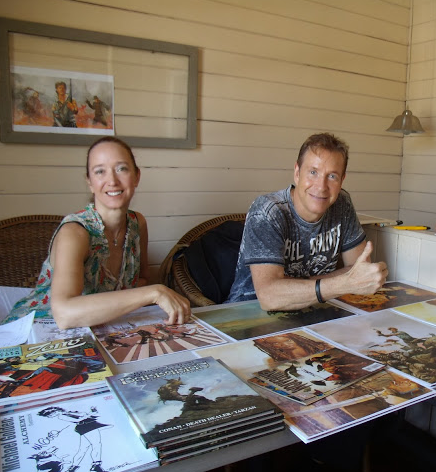 Soon, they will be relocating to the US, but leaving behind a legacy that has inspired many artists and readers in Costa Rica! 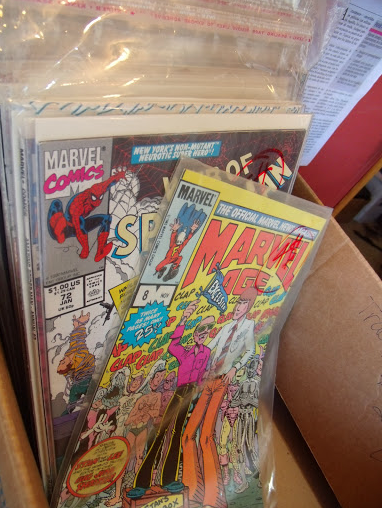 I remember the little boy, Ariel, wearing his Hulk shirt, and so knowledgeable in comics, watching intently as Arthur signed his books; the school teacher who uses comics to stir the imaginations of her students and foster creativity that might last a lifetime; the artists, and their enthusiasm and love of the medium; all the customers who came in with their stacks of books, that before BOOM were probably almost impossible to get in Costa Rica! You see, the fact that BOOM existed is a miracle unto itself to begin with-- a place where break-ins such as theirs have sadly become common (something we all hope will change), not to mention that there are no true street addresses and tricky customs to boot, both of which make it almost impossible to bring goods in and do business as usual. etc. So, in short, life threw our friends in CR some lemons this past week--by virtue of people not worth dwelling on for too long--but not only did they make lemonade, we set up a whole dang lemonade store for the whole dang day! And suffice to say, I'm happy that I was invited to share in this special moment that stood still. It was a pleasure.